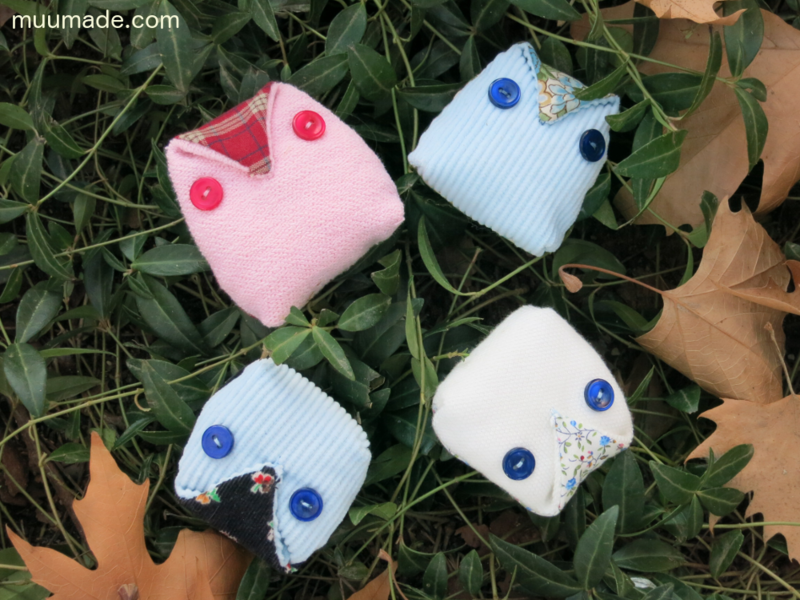 Here is a fun sewing project for kids and grown-ups to enjoy together – making button owls! This FREE download includes a simple pattern and step-by-step instructions. You can pick the colors of your owl and its button eyes. The making of the button owl is very simple and straightforward. Along the way, children will also learn how to sew on buttons! 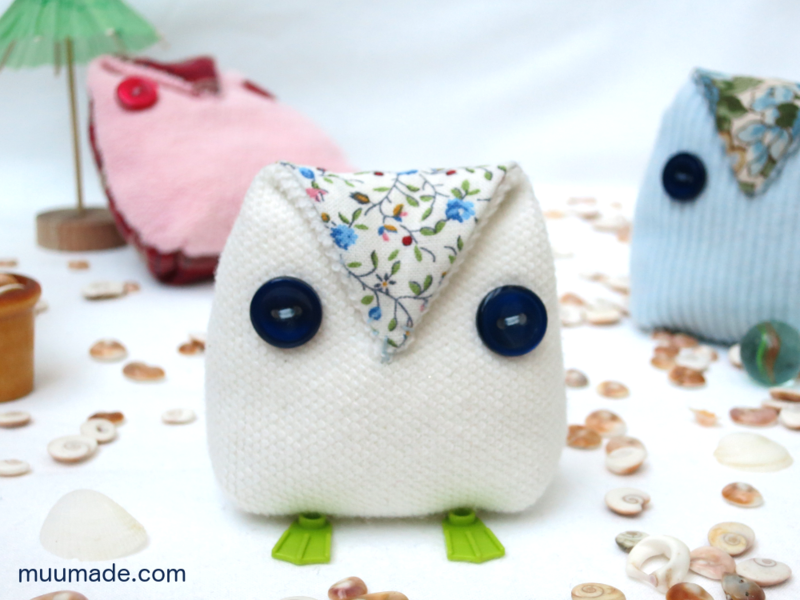 Download MuumadeOwlFreeSewingPattern-letter (Letter-sized paper) or MuumadeOwlFreeSewingPattern-a4 (A4-sized paper) and get started! 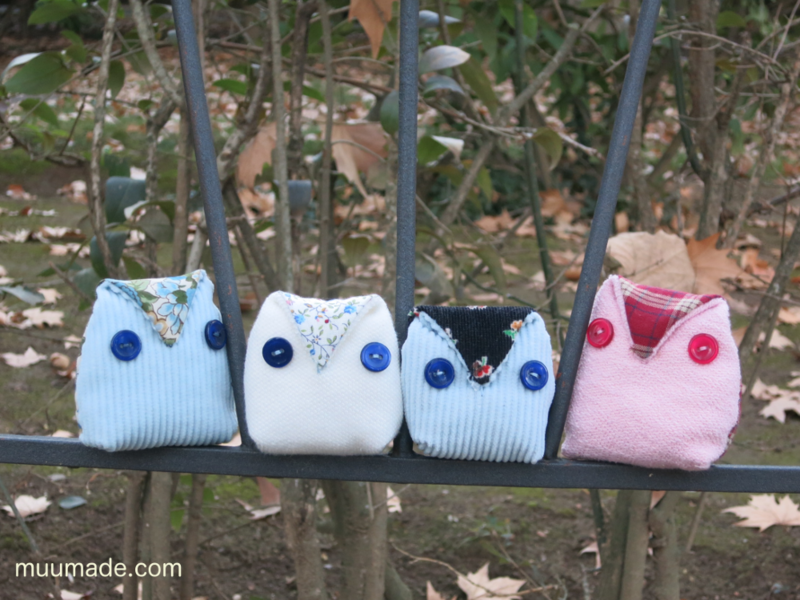 When you have made your owls, post their photos in Muumade’s gallery! I would also love to hear how your project went. 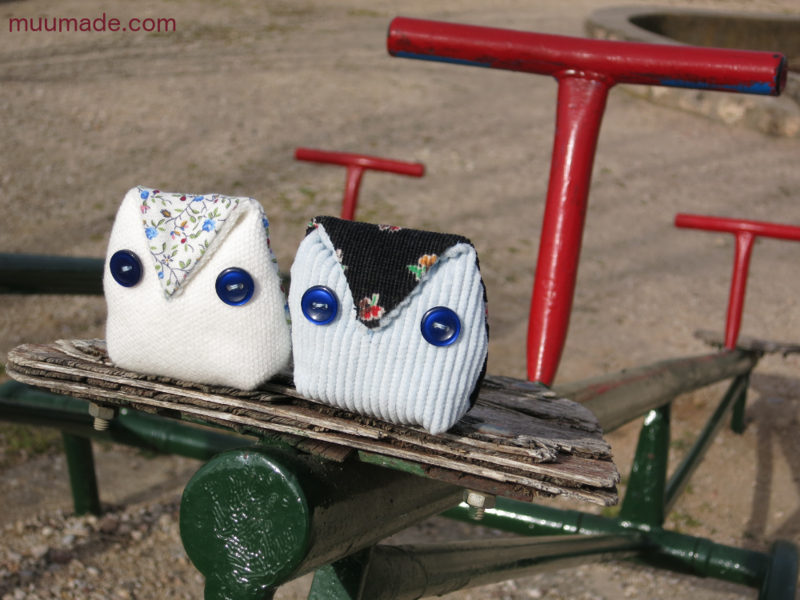 Many thanks to Shivani for sharing my button owls on her blog, My Owl Barn (www.myowlbarn.com). 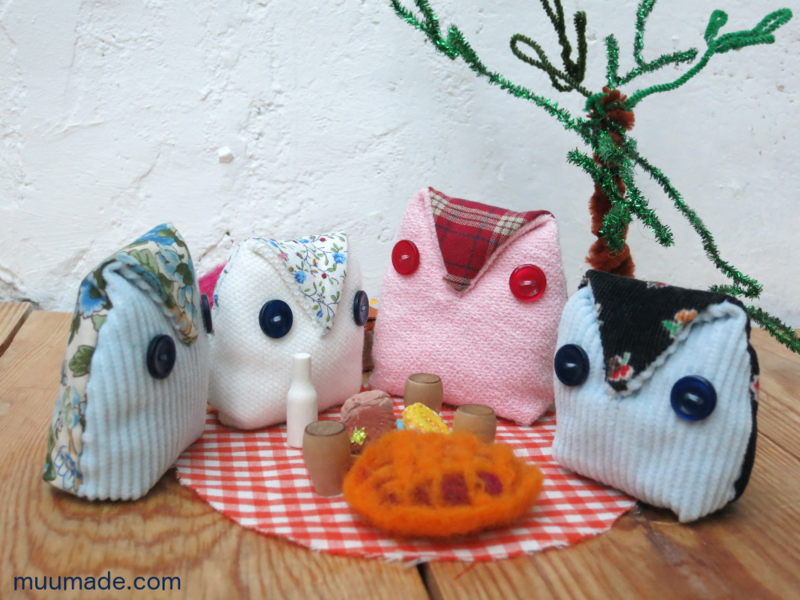 If you are an owl lover, I definitely recommend her blog, which posts all kinds of owl-themed arts and crafts. New Arrival: A Little Felt Hedgehog! The Launch of Muumade’s Instagram Gallery!